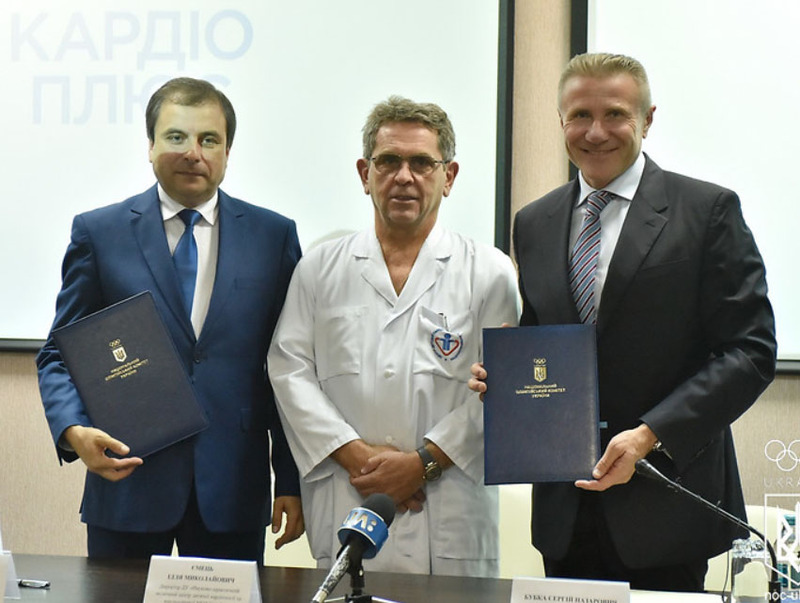 The Ukranian Olympic Committee keeps on caring about the health of its athletes, as President of the NOC Sergey Bubka signed a MoU (Memorandum of Understanding) with the leading scientific medical park “Cardio Plus” on 2 August. The agreement paves the way for the research of new opportunities to ensure Ukranian Olympians the best medical care. “Modern sports is fighting on the brink and beyond the human capabilities. Quality medical care and the recovery of athletes is extremely important”, Bubka tweeted following the MoU’s signature. The NOC and the Medical Scientific Centre outlined the main objectives of their future cooperation, which includes sharing experience, knowledge and competences. The high-qualified doctors and experts will also provide the NOC sport doctors with assistance and consultations. “We have a special responsibility”, said Oleg Fesenko, the Director of Cardio Plus, stressing that they will ensure athletes advanced medical services and facilities. The event featured also Minister for Health Care llia Yemets, severals doctors, as well as Olympians Olena Govorov, Anna Sorokina, Elena Yatsenko, Larysa Zaspa.